When you look for new recipes to add to your repertoire, what qualities do you look for? Are fresh, local ingredients important to you? How about ease and quickness of preparation? Wouldn't it be ideal to use fresh ingredients that won't break the bank, are easy to find, and can be prepared easily after a tiring workday? I've got a cookbook that meets all of these requirements. And it includes recipes that the whole family will love! Ten Dollar Dinners by the Food Network's Melissa d'Arabian is a book written by a busy mother for busy mothers. d'Arabian adeptly uses her experience as a wife and mother to develop recipes that are easy, healthy, and delicious. I like to cook, but I am not good at whipping up a meal without a recipe. It's just not my thing. But I don't want to spend hours in the kitchen preparing meals. I want meals that are quick and easy to make and use ingredients that I can find in my local grocery store for under $15. Ten Dollar Dinners is the perfect resource for all of my needs. Ten Dollar Dinners takes ordinary everyday meals and elevates them by adding a special ingredient or a unique sauce. And all recipes cost $10 or less to prepare for your family. * I love that!! The book is divided into 11 sections. The sections include such items as soups, appetizers, dessert, seafood, and more. How many times have you made a fruit salad? How many times have you wished that you could add something to the fruit salad to jazz it up? 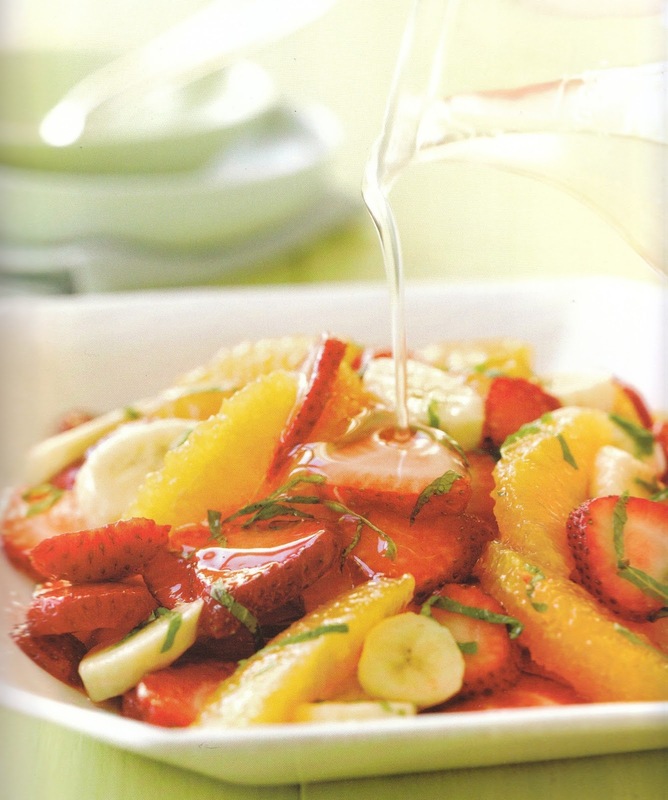 In the Desserts section of the book, d'Arabian features a recipe for fruit salad with lemon-mint syrup. The syrup makes an ordinary fruit salad extraordinary! Summer is coming! How about the perfect burger? The grilled two-cheese burger will satisfy any burger lover. 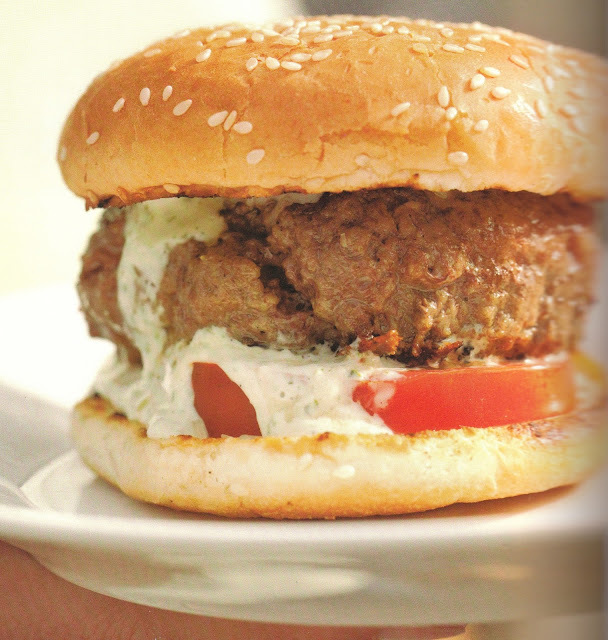 Both mozzarella and grated Parmesan top this plump, juicy burger. 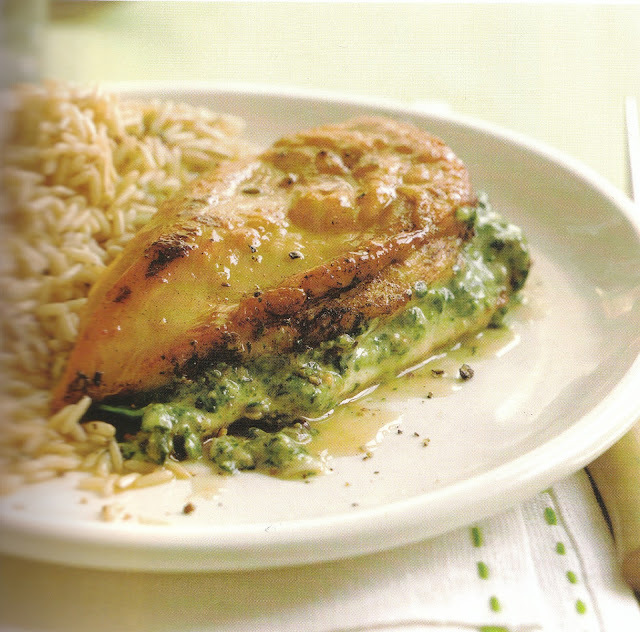 My favorite recipe from this book, spinach and cheese-stuffed chicken with lemon butter (complete recipe is included at the end of this post), has become a household favorite. I make it gluten-free by substituting cup4cup gluten-free flour for regular flour. I love this cookbook for many reasons, but the primary one is that Melissa d'Arabian's perspective as a mother equates to easy, affordable, and accessible meals. She's not preparing foods that I am certain my kids won't eat, such as parsnips and lamb. I can easily get the ingredients together after a long workday and have any meal in this book on the table within an hour. Every recipe in the book includes the amount of time it takes to both prepare it and to cook it. For those evenings when you know your time is short, choose a recipe that takes the least amount of time to prepare and cook. One lucky Pieces of a Mom reader will win a copy of Ten Dollar Dinners. This giveaway will end on April 15, 2013 at 11:59 pm ET. It is open to residents of the continental U.S. who are 18 years of age or older. If you just must get your hands on a copy of the book immediately, you can order it through Amazon.com. 1/4 pound (4 ounces) sliced, shredded, or chunks of cheese, such as Cheddar, mozzarella, provolone or Swiss. 1. Preheat oven to 375 degrees Fahrenheit. Place the thawed spinach in a paper towel, squeeze out excess liquid, and transfer spinach to the bowl of a food processor. Add the cheese, cream cheese, lemon zest, garlic, and 1/2 teaspoon of salt. Pulse until the cheese is broken up into small pieces and everything is nicely mixed, about five 3-second pulses. Set aside. 2. Place the flour in a shallow baking dish and set aside. Place your palm flat on top of a chicken breast and, using a sharp knife and starting about 1/2 inch from the tip, make a long slit in the side of the chicken, working the knife about three quarters of the way through to the other side, but not cutting through the breast completely, to make a good sized pocket. Repeat with the remaining 3 breasts and then stuff each with a few tablespoons of the spinach stuffing. Thread 2 or 3 toothpicks (or shortened wood skewers) from top to bottom through the edge of the pocket to fasten it shut. Season with remaining 1/2 teaspoon of salt and then roll each breast through the flour, lifting out and gently tapping each one to knock off extra flour. 3. Heat the oil in a large skillet over medium-high heat. Add the chicken breasts, smooth side down, and cook until browned, 4 to 5 minutes. Use tongs to turn over the breasts and brown on the other side, about 3 minutes more. Drizzle lemon juice over the chicken and sprinkle the butter pieces over the chicken. Place the chicken in the over until cooked through and firm to the touch, about 15 minutes. Serve drizzled with sauce from the pan. I ask my butcher to cut the chicken breasts to create a pocket. It saves me time, and I know it's done correctly. Serve with any side dish. We like rice or roasted red potatoes. For more information about Melissa d'Arabian, the book, and book tour dates, visit her Web site. * All recipes are based on a family of four. All photos appear courtesy of Melissa d'Arabian. Disclosure: I received a complimentary copy of Ten Dollar Dinners by Melissa d'Arabian to facilitate this review. I did not receive monetary compensation to post a review. All opinions expressed herein are mine.